Our SIG members are involved in exciting and innovative practice and research projects. Check out the details below. 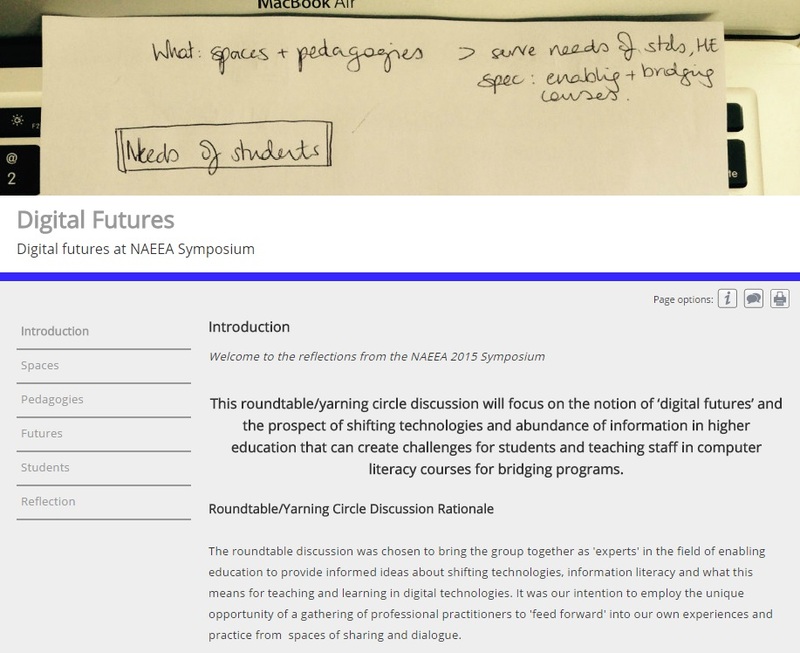 At the 2015 NAEEA Symposium at USQ (Ipswich), Kelly and Marguerite facilitated a round table discussion on the notion of digital futures in enabling education. They have taken an innovative approach to teaching Computer Literacy at USC, moving away from the traditional skills based curriculum to create resilience in the use of new applications and technologies and to have students question the very meaning of ‘digital futures’. They posed the question to NAEEA Symposium delegates: What are the spaces and pedagogies that may serve the needs of students, higher education and specifically enabling and bridging programs for tomorrow? See the full Pebblepad Digital Futures Round table portfolio of the session. A team from the USQ Open Access College (OAC) has been awarded funding under a Teaching Excellence scheme to create an open textbook. The creation, ‘Active Success at University’, is a series of discrete online learning objects, which can be used separately as stand alone learning activities, or connected via links. The materials will develop user confidence, self-efficacy, study knowledge and active engagement, all of which are key factors in successful university study. Didactic instruction will be minimised through design strategies, based upon gamification, that teach through encouraging active involvement, providing immediate feedback and a sense of progress. 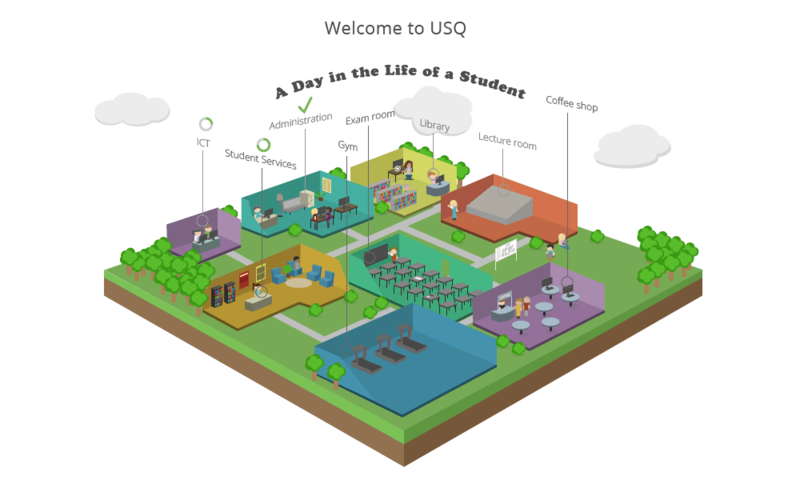 The learning objects are works in progress, but through collaboration with learning and teaching services at USQ they are shaping up as exciting and innovative resources through the inclusion of multimedia and graphics, character avatars and with plans to include artwork. Read the team’s blog post about the project.